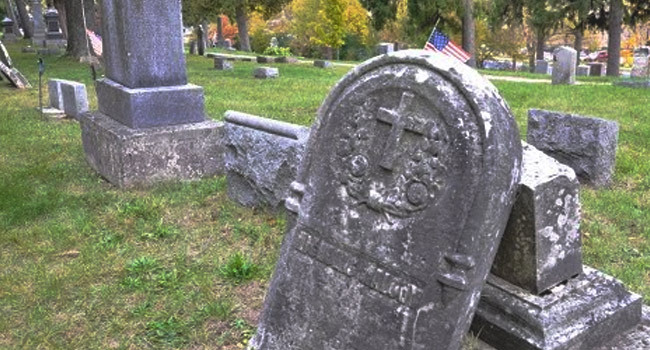 Wisconsin’s old burial grounds are full of history and legends. Some may be nothing more than local lore passed on through generations of bored teenagers looking for a thrill, while others are born straight from the headlines of creepy and bizarre true stories. 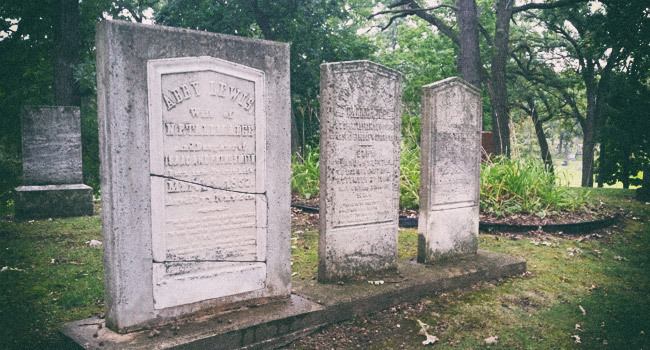 From the disturbed graves of Ed Gein’s old stomping grounds and a portal to Hell itself, to tales of witchcraft, brutal axe murders, and a haunted triangle in “Second Salem,” the legends of these four Wisconsin cemeteries will never rest. And neither will their spirits, it seems. 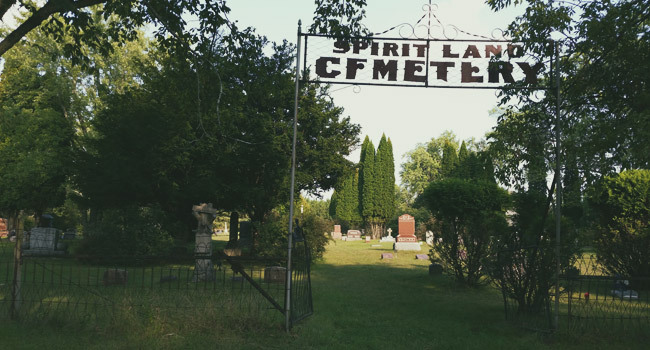 Various writings claim that the quiet graveyard a few miles outside of Plainfield got its name because, long ago, a grieving husband would frequent his wife’s grave there, where he was able to commune with her spirit. But why are the spirits restless in Spiritland? Some believe it is because between 1945 and 1957 this cemetery was one of three where Ed Gein would go to dig up freshly buried bodies for his ghoulish hobbies. Since their graves have been disturbed, the dead have been unable to find peace. In the quiet town of Glenbeulah, a dead end is quite literal. Where Walnut Street stops, the path to the old burial ground begins, weaving through the woods to the top of the hill where Walnut Grove Cemetery seems almost intentionally hidden away. 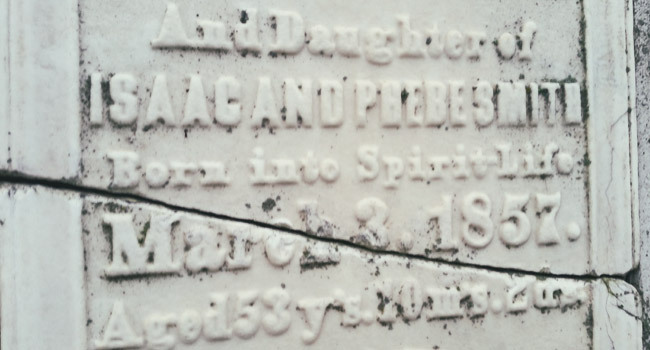 Many of the cracked or fallen gravestones date back to the mid-1800s. 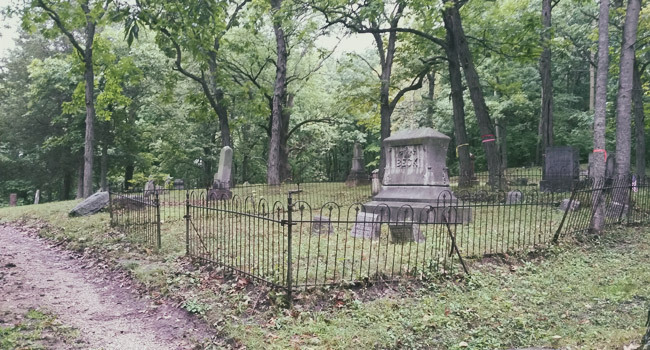 There are plots surrounded by wrought iron fences, and trails leading off to graves isolated by themselves in the woods. As the legend goes, a man once hanged himself from a tree in the cemetery, but the force of the drop tore his head from his body and sent it rolling down the hill into town. Many believe it is the apparition of this man they have seen wandering among the graves at night. There are so many legends of witchcraft in Whitewater that it has come to be known as the “Second Salem.” An old stone tower in Starin Park is at the center of many of these legends, where some believe witches were buried and rituals are still carried out to this day. But it’s the city’s three cemeteries – Calvary, Oak Grove, and Hillside – that form the Witch’s Triangle. All land and buildings within the triangle are believed to be haunted, and this is where the area’s disturbing historical legends reside. The Horan family moved to Whitewater in 1880. Within 4 years they were all dead. Father and Mother were the first to go. The majority of their money was left to their youngest daughter Agnes, who was, not surprisingly, the next to go. There were only two daughters left, Nellie and Annie, when the latter succumbed to the same fate as befell the others. Suspicion fell on Nellie when a chemical analysis revealed strychnine in her sister’s stomach. Nellie’s motive to be the sole recipient of her parent’s estate was clear. But when a witness came forward who saw Nellie purchase a quantity of strychnine just a few days prior to Annie’s death, Nellie knew the secrets of her murderous scheme were unraveling. Death, she decided, would be better than facing the consequences, and she consumed the remaining poison herself. Before the final throes carried her from this world, Nellie confessed to the poisoning of her entire family, as well as one other victim who remains unidentified to this day. Nellie Horan’s grave can be found in Whitewater’s Calvary Cemetery. Legendary axe murderer and self-professed witch Mary Worth, whom many believe cursed the town, is also said to reside there. In 1889, the Morris Pratt Institute was established in Whitewater to study spiritualism. Residents called it the Spook Temple. There, spiritualists used seances, talking boards, planchettes, and other methods to pierce the veil and communicate with the dead. Did these conjurations leave the town full of restless spirits? The grave of Morris Pratt himself can be found in Hillside Cemetery. According to legend, a coven of witches used to conduct rituals in the Oak Grove Cemetery in the 1800s. The coffin of a baby girl was dug up from one of these cemeteries and left on the steps of a building at the nearby UW-Whitewater campus during the week of Halloween in 1970. William Tallmadge, the son of Wisconsin Territory governor Nathaniel Potter Tallmadge, was just 19 years old when he died on June 12, 1845. He was buried in a spot he had picked only two weeks earlier, upon the top of a hill on his family’s land which they called Rienzi Hill. Nathaniel found solace in the beliefs and practices of spiritualism when the movement began not long after. Many of Nathaniel’s experiences communicating with the dead through various mediums were recorded in the 1853 book Spiritualism, Volume 1. He wrote that his youngest daughter, then 13, “plays the piano on the instruction of the spirits.” She had never played piano before in her life and had no understanding of notes, he claimed, until one day she sat down at the keys and played Beethoven’s Grand Waltz. 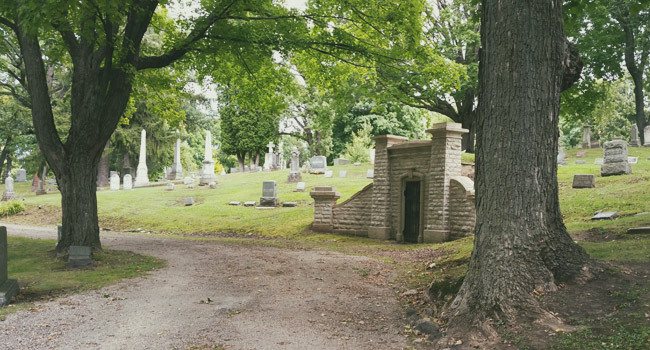 The same year Spiritualism was published, Tallmadge donated the hill and the surrounding eight and a half acres of his farm for use as a public cemetery. Since then, Rienzi has become the final resting place of Civil War generals, senators, congressmen, athletes, musicians, and, depending on who you ask…witches. At the very back of the cemetery stands a lone monument and a plot marked by four small cornerstones. This, according to legend, is the Witch’s Circle. 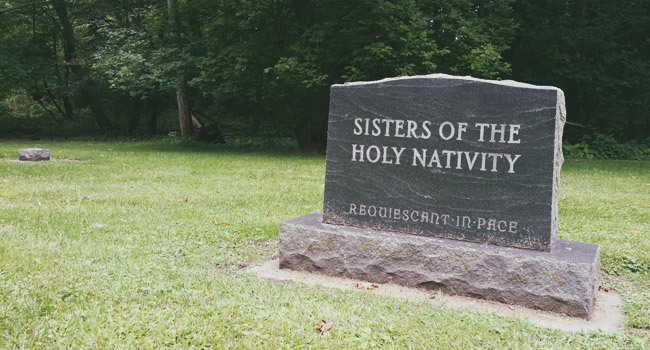 As the story goes, nuns from a religious order known as the Sisterhood of the Nativity were getting pregnant and performing witchcraft. The women were excommunicated from the church and, upon their deaths, buried in unconsecrated ground at the back of the cemetery. Some claim to have found a witch’s house somewhere in the woods behind the circle, as well as a glowing gateway to Hell that opens at night. Rienzi Cemetery is just down the road from the notorious Witherell house. Does your local cemetery have any strange or creepy legends? Have you had an experience you can’t explain? Share your story in the comments below!. Milwaukee County Grounds, enough said. If ghosts do exist this is the place to see one, or two, or a couple thousand…..
Lake Michigan Mothman Sightings: What’s Flying in the Skies Over Chicago? "A lot of mass hysteria hype!" "An interesting tug indeed... some clarification on just what happened to the Wisconsin that day 1941, from another boatnerd. So,…"
"Past summer 2018...witnessed an object being chased by a helicopter at high speed toward Dundee area. Object too large…"
"If this creature is real how come nobody tried to hunt it yet??? Like if its a creature of werewolf…"
"I lived on Jay Rd. My house burned to the ground. Nothing was left. I lost both of my cats…"
Otherworldly explorations down the dark and strange backroads of Wisconsin.